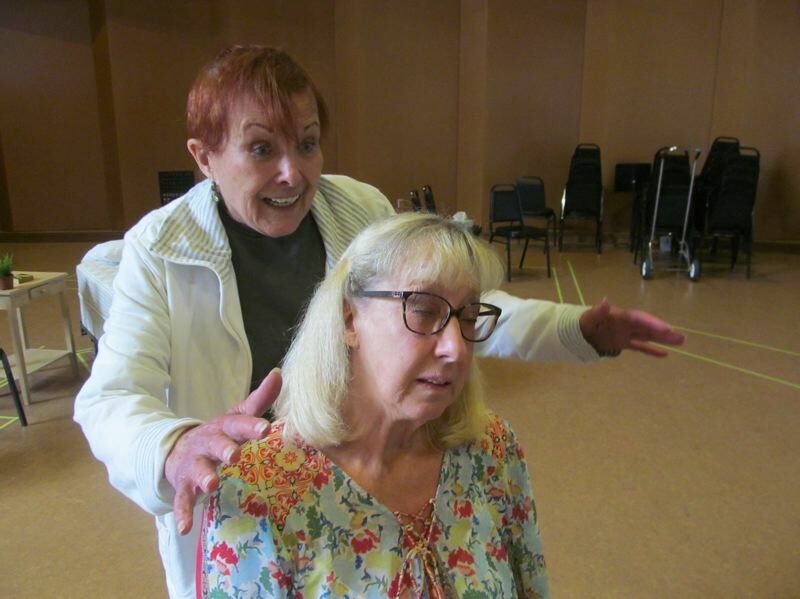 Clackamas Repertory Theatre's final play of the season, "Ripcord," is about two older women living in a retirement community, but the protagonists are anything but retiring. "Ripcord" runs from Sept. 6 through 30 in the Osterman Theatre at Clackamas Community College in Oregon City. Performances take place at 7:30 p.m. Thursday through Saturday with 2:30 p.m. matinees on Sundays. Abby Binder has lived in her room contentedly for years, but when Marilyn Dunne moves in, conflict ensues — especially over who gets the windowside bed with the great view. During the course of the play, the two women make a bet: If Abby can make Marilyn angry, she wins; if Marilyn can scare Abby, she wins. "The winner gets the bed by the window and the loser will have to leave the room," said director David Smith-English. "Ripcord" is the third play by David Lindsay-Abaire t hat CRT has produced, Smith-English said. The other two were "Fuddy Mears" and "Good People." Just like those other plays, "Ripcord" has "a story arc. There are so many funny lines, but at the end it's so touching," Smith-English said. It's difficult to find good roles for women, especially older women, he said, and "these are really rich and deep and important roles." He can't pick a favorite moment or scene in the play, Smith-English said, "because they're all so good, so crazy and so fun." Abby is played by Randi Douglas, a member of Actors Equity Union, while Anita Sorel plays Marilyn. This is the first time either has appeared in a CRT play, although Douglas participated last year in a CRT staged reading of "Bakersfield Mist." Each has master's degrees in acting and plenty of experience, and both are thrilled to be challenged by such fully developed roles for older women. What Douglas likes best about her character is her "sardonic sense of humor and quick wit," but she also noted that Abby is a quiet loner who is "emotionally trapped in grief." Abby also is "sensible and she loves to read; I love that about her," Douglas added. As for Marilyn "she has decided the glass will always be full and she approaches everything positively," Sorel said. Marilyn also works hard to never get upset. According to Douglas, audiences will learn to expect the unexpected in "Ripcord." "The surprises are cascading as the series of wagers get quite bold. The audience is not going to be prepared for everything that happens," Douglas said. "This is a pretty rousing comedy. There's a skydiving scene in this play, and we're both flying. I hope that's going to be really fun," she said. But, Douglas added, "There is a serious underbelly to this play." "There's something in it for everybody, from young to old. It will give old people a lease on life," Sorel said. 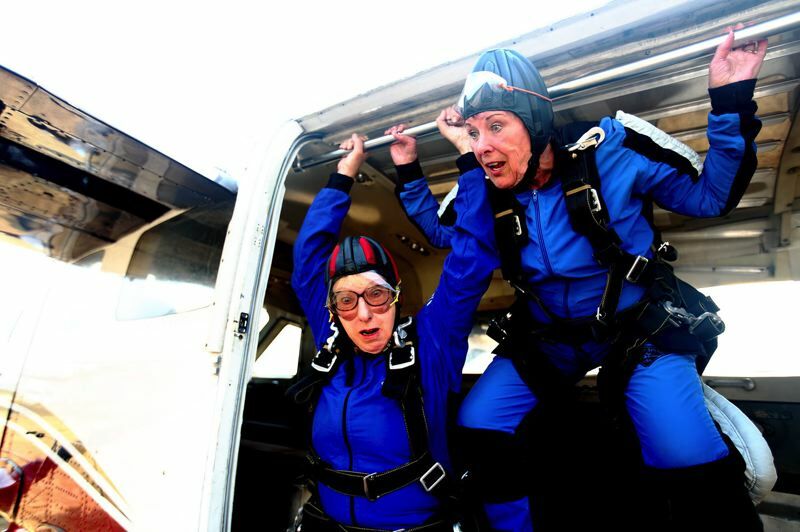 "Ripcord" turns "elderly ladies into lively people. They're not portrayed as old fuddy duddies — that's important." The play "is intergenerational. Anybody with a grandmother will find it compelling. It's really a play about family and relationships, with a focus on seniors," Douglas said. Talkbacks: The Sept. 14, 21 and 28 performances will include interactive post-show discussions with the cast and director.